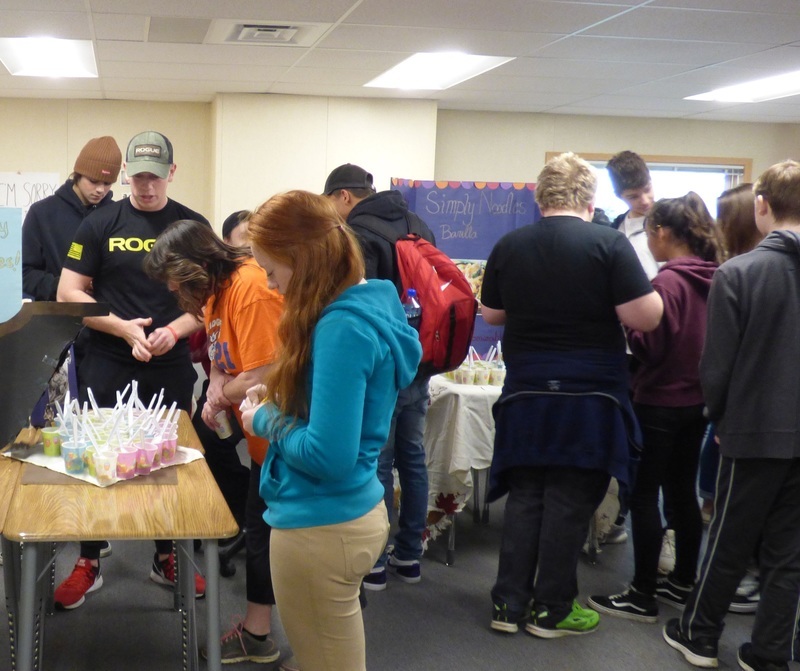 By collaborating with other classes and combining specific skill sets, students in Andrea Reinertson’s Marketing class and Stefanie Foster’s Foods Class at Ridgefield High School now have a better understanding of how products are promoted in the marketplace. 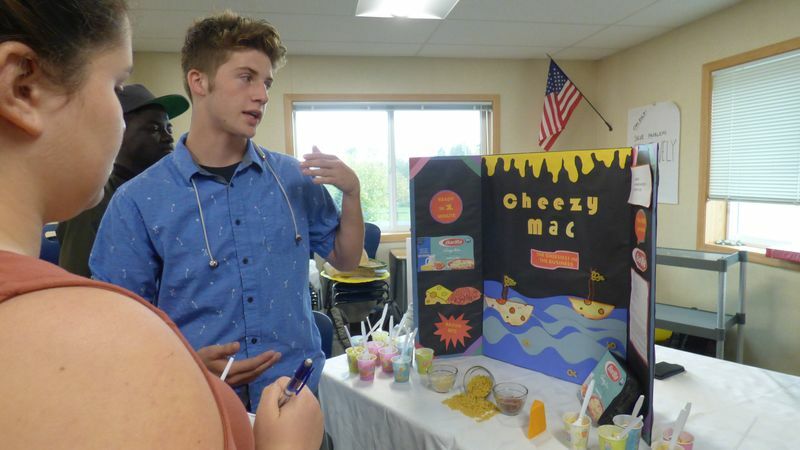 In October, both teachers created a project centered around a hypothetical pasta company whose goal was to create a frozen food product for teens seeking quick, ready-made meals. Reinertson’s marketing students conducted research to find out which qualities their target market (teens) were looking for in their ideal pasta product and presented their findings and recommendations to the “Product” team (the students in Stefanie Foster’s Foods class) to prepare the final product. Foster added that her students also collaborated in class on how best to present the recipe as recommended by the Marketing class. Collaboration by students in both classes generated a variety of pasta products. Marketing students came up with the brand, logo, and attention-getting grocery aisle displays for each one. 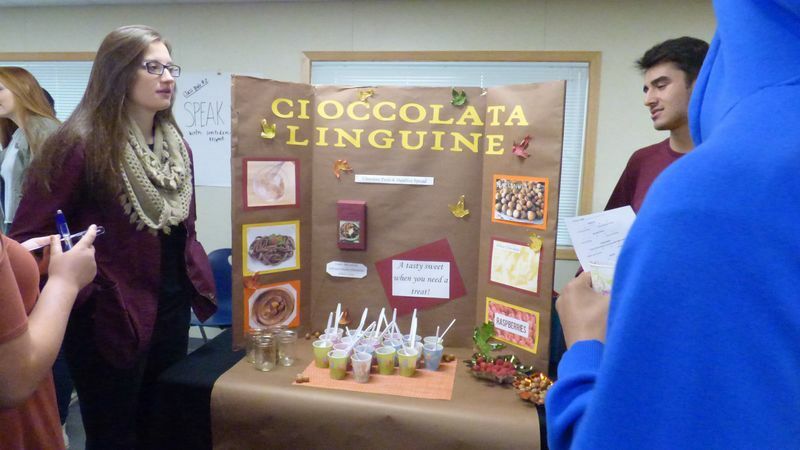 To measure the products’ success, teachers invited staff members and other students to score the different pasta products based on taste, product display, likelihood to purchase, and the sales techniques utilized to draw “customers” in. 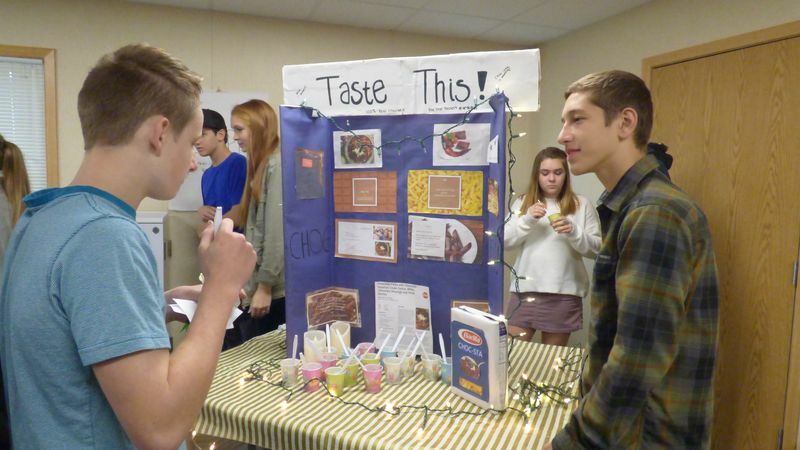 A couple of the pasta products had a high number of tastings--a direct reflection on the appeal of the displays and sales techniques, according to Andrea Reinertson, RHS marketing teacher. 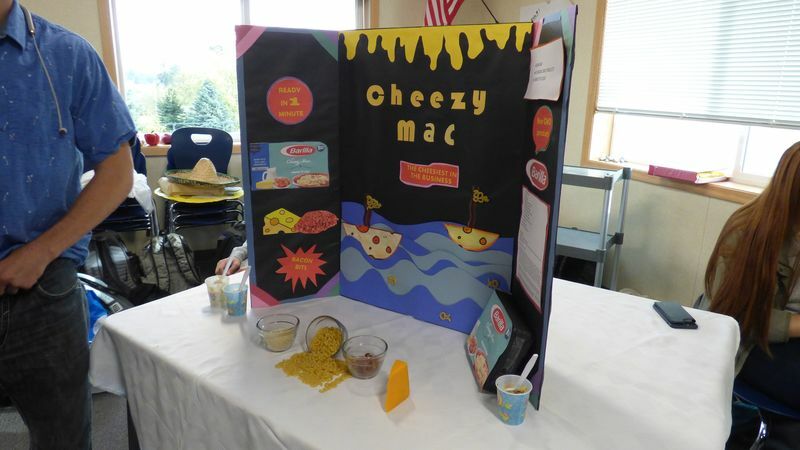 As marketing and production “employees” in a hypothetical pasta company, the students learned what is involved in the areas of product research, production, advertising and sales in the marketplace. Best of all, the experience was completely hands-on from beginning to end. 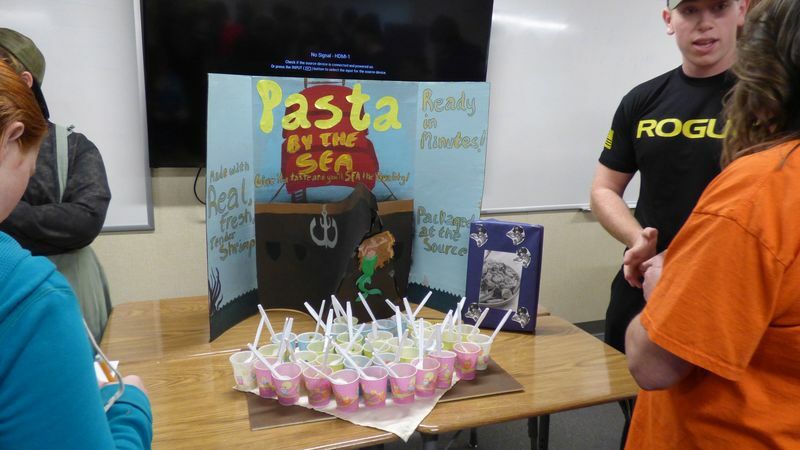 “The students really loved getting to pick their own pastas, having the opportunity to think creatively to solve a problem and getting to see their ideas come to life,” said Reinertson.